Need to chillax? My favorite method is taking a nap! HA. But sometimes you can't just plop yourself down and pass out anywhere. However you could color! You remember when knitting was the rage, not only for the old but for the young too? It was claimed to relax you. Well for the same reasons adult coloring books have become the hottest thing on the market now. Are you already on this coloring trend? I'm not, and would like to try in an attempt to just put my darn phone down! I admit I have a smart phone addiction and suffer from over stimulation syndrome. But at least I acknowledge it and am trying to make a difference! If there is one person who could distract me from my phone for a while it would be artist Kelsey Montague designs. I am in luck! She is releasing a coloring book next month! YAY. 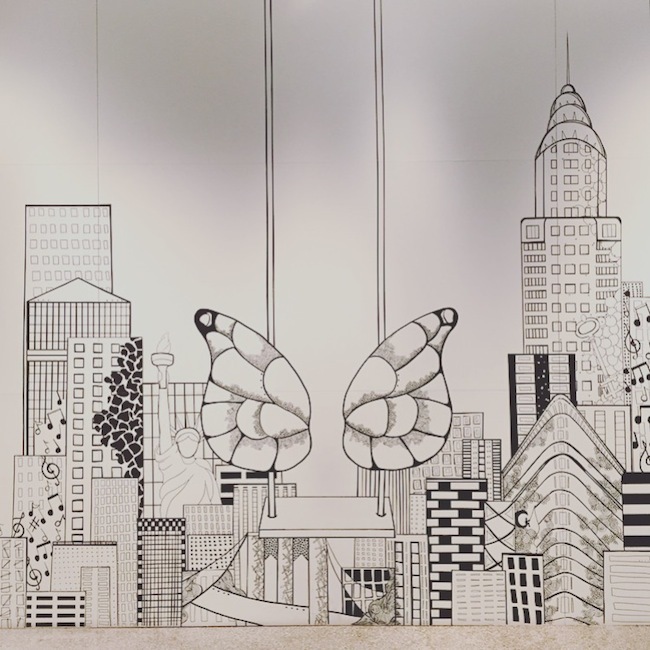 Love her work since I discovered her butterfly wings? 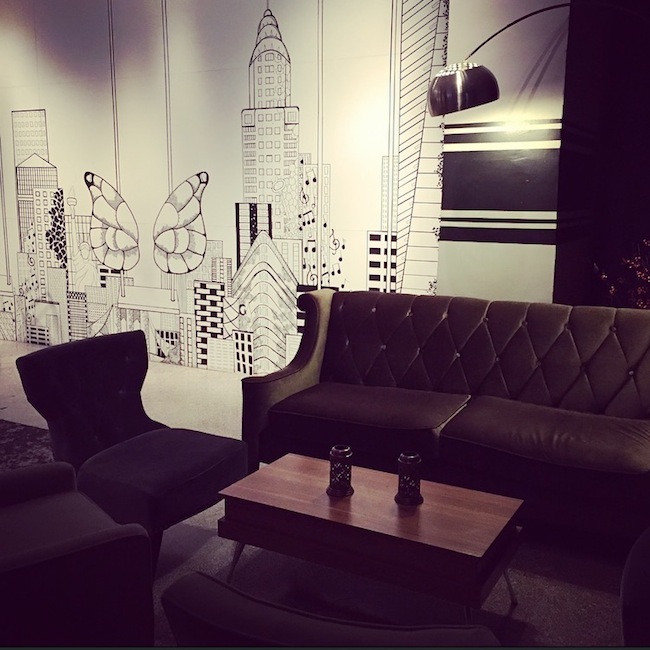 And since then I've also come across her art installation in the lobby of The Evelyn hotel. Cool right? 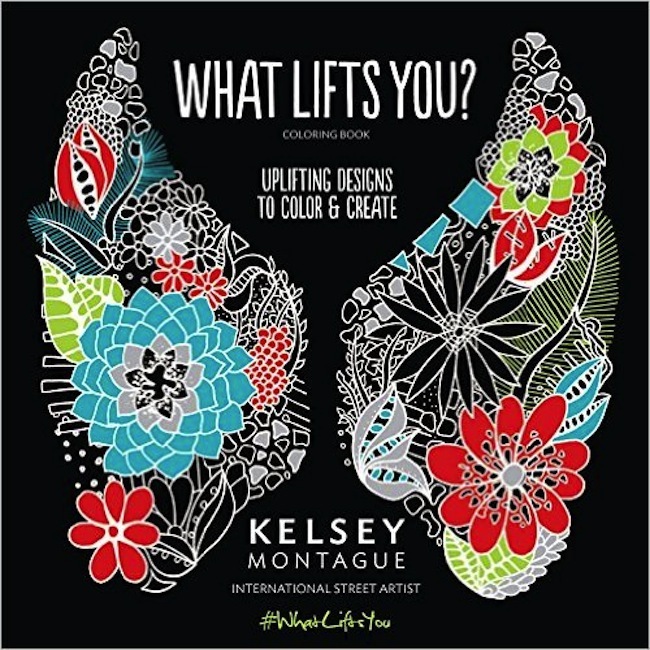 Very excited to receive her coloring book What Lifts You?, that I just pre-ordered for end of February 2016 delivery. My creative juices are already flowing and I can't wait to get started! Watch me whip out this very hip coloring book to de-stress the next time I'm on edge at work, doctors, train, airport, etc. Want to come join me and color?